If you're a cyclist, you know the dangers posed by motor vehicles. They’re big, fast, and everywhere. Unless you choose to ride along one of Arizona's secluded nature trails, odds are you will encounter a car or two in your travels. Of course, a car or truck in motion can be a danger to any cyclist - but they are just as dangerous when stopped. It only takes a fraction of a second for a careless motorist or passenger to open his door into your path of travel. Opening a door without looking is a recipe for disaster. Regardless of whether the car is parked or simply stopped, it is never a good idea to open a door without thoroughly checking to see if anyone is coming from behind - especially cyclists. In the United States, the "door zone" refers to the area roughly three to four feet around the door, where it swings when opened. If a driver decides to open his door without checking behind first, he could be responsible for any "dooring" injuries to bicyclists. In the blink of an eye, you went from enjoying the day on your bicycle to suffering in serious pain. Depending on the speed you were traveling and the grade of the road, you may have suffered catastrophic injuries. This raises a few questions. How will I ever pay for this? Will I recover from my injuries? Are there any legal avenues available to me? If you find yourself asking any of these questions, here’s where you can get the answers: The Husband and Wife Law Team of Mark and Alexis Breyer. We have years of experience helping cyclists just like you obtain the recovery they deserve. Our Phoenix injury lawyers know the challenges you face and how insurmountable they may seem now. But there is hope and we can help. If you were involved in a collision - or "doored" by a motorist – you may have the right to seek compensation for your injuries. For more information or to schedule a free consultation with a bicycle accident attorney in Phoenix, contact Breyer Law Offices, P.C., today at (602) 267-1280. 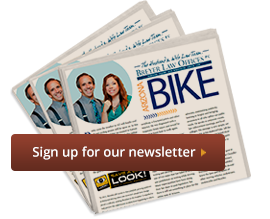 Phoenix Bike Dooring Injury Lawyer Disclaimer: The legal information presented at this site should not be construed to be formal legal advice, nor the formation of a lawyer or attorney client relationship. Any results set forth herein are based upon the facts of that particular case and do not represent a promise or guarantee. Please contact a lawyer for a consultation on your particular legal matter. This web site is not intended to solicit clients for matters outside of the state of Arizona.